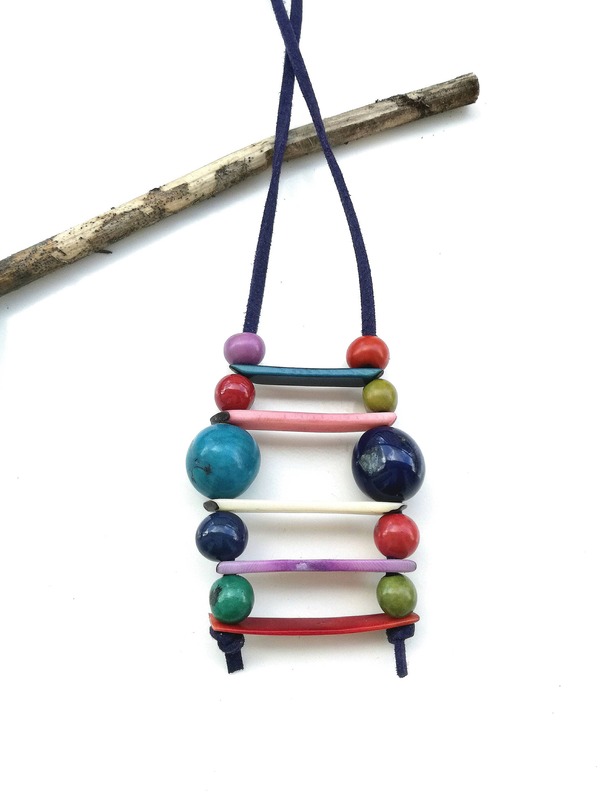 Eco friendly colorful boho necklace made of tagua nuts. If you are looking for an ethnic long cord handmade necklace, this beaded necklace is a great choice. for a bridal party gift . 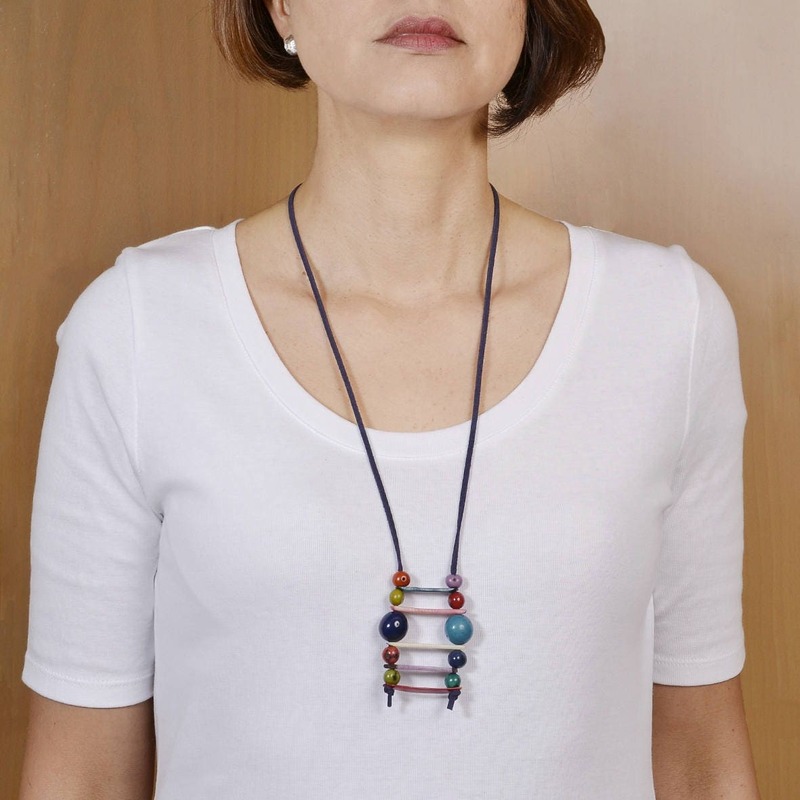 It’s a bohemian artisan necklace from our tagua jewelry collection. 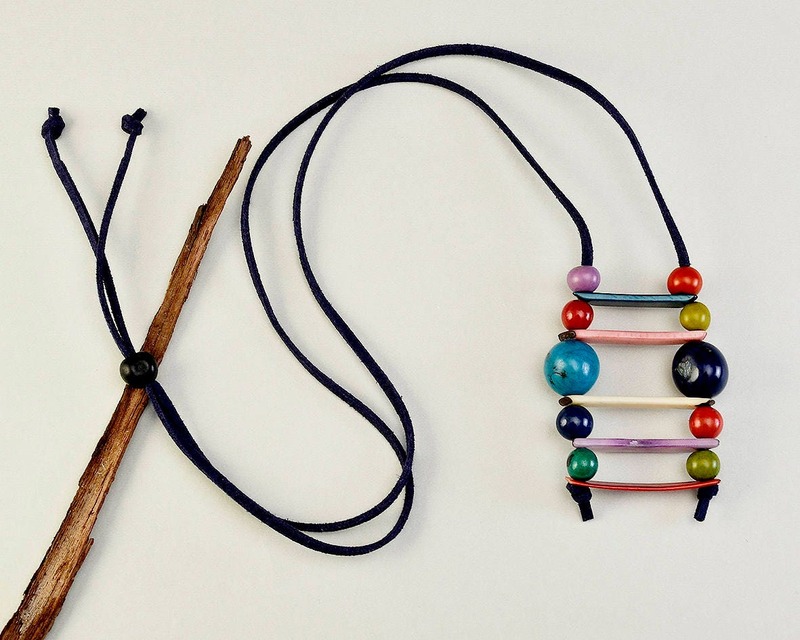 Fun and colorful necklace to wear with any casual outfit.